Unsafe acts occur in every workplace. Some of these unsafe acts result in accidents, injuries and damage. One of the most effective ways of reducing the number of unsafe acts that occur in the workplace (and hence improve your accident statistics overall) is to introduce a ‘Behavioural Safety Approach’. This first session clearly explains the aim of the course and gives an overview of all the main components that will be covered during the course. This session also looks in detail at the subject of unsafe acts and what can be done to prevent them from occurring in the workplace. This session is comprehensive and can be run as a stand alone ‘short course’ on unsafe acts. What is Behavioural Safety all about? Why do organisations introduce Behavioural Safety into the workplace? What is the definition of the term Behavioural Safety? What is a Behavioural Observation? 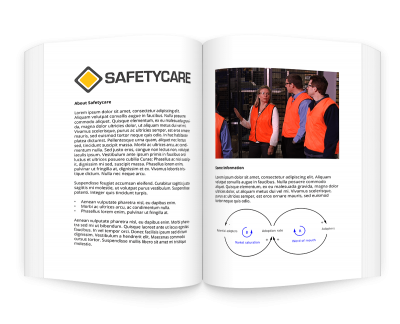 What is a Behavioural Safety Program? This session looks in detail at the Behavioural Safety Tool and explains how to use this tool in order to conduct Behavioural Observations. It also clarifies and summarises the five key steps in the Behavioural Observation Process. What potential problems may arise (when doing a Behavioural Observation) and how you can overcome them. The session then involves the participants in a practical Behavioural Observation exercise. The course concludes with the participants being involved in a formal course review. This training course is practical and results orientated. If your organisation follows the principles and practices contained within this course then it will significantly reduce the number of unsafe acts that occur in the workplace.